Monomi Park Forums • View topic - VR Playground Coming This Fall! VR Playground Coming This Fall! Experience the Adorable Slimes of Slime Rancher—in VR! For the last couple of months we've been working with VR Studio, 3lb Games, to create a fun, new way to experience the Far, Far Range! We're really excited to announce that you will be able to play with some of your favorite slimes in our free VR Playground DLC! 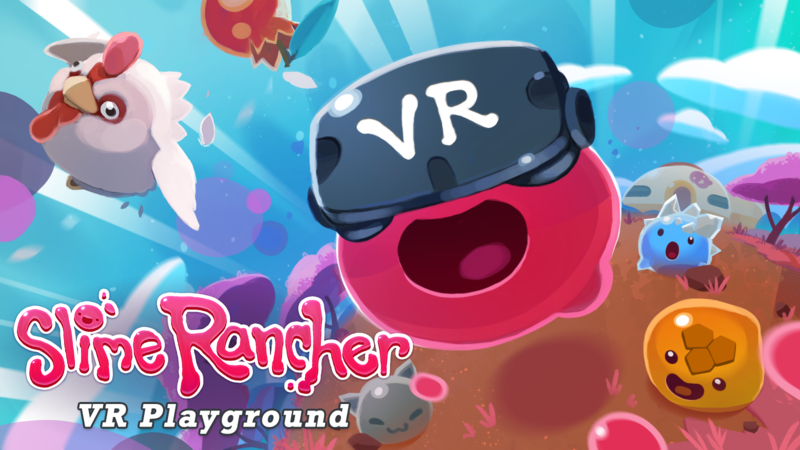 The Slime Rancher: VR Playground is free DLC that will let you vac, feed, and play with slimes like never before! You will be able to enjoy unique VR playgrounds based off of the Dry Reef, Moss Blanket, and Ancient Ruins.